Leave Hanoi behind and visit two traditional villages on this full-day private tour, led by your own personal guide. 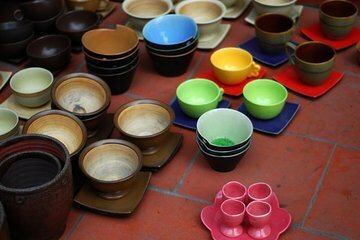 First, head to Bat Trang ceramic village for a look at local pottery. Watch artisans at work on high-quality products shaped by hand. After a visit to the snake village of Le Mat, enjoy lunch with a local family and scenic views of the Red River. Private round-trip hotel transport is included. We had a wonderful time on this tour. Our guide Minnie was excellent. We even got to paint pottery which made for a great souvenir. Lunch was delicious. I highly recommend this tour.